Product prices and availability are accurate as of 2019-04-23 02:00:21 UTC and are subject to change. Any price and availability information displayed on http://www.amazon.com/ at the time of purchase will apply to the purchase of this product. 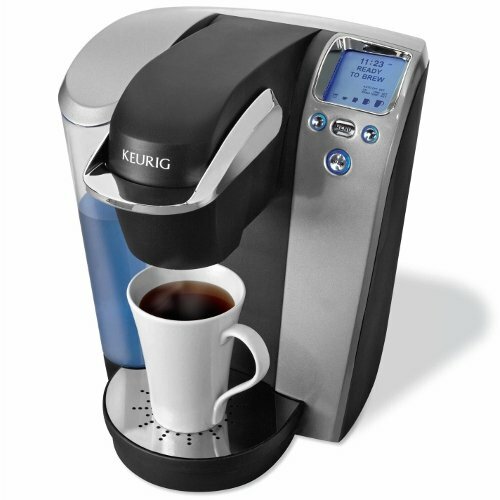 The Platinum Brewing System is Keurig's best single-cup brewing system for your home. 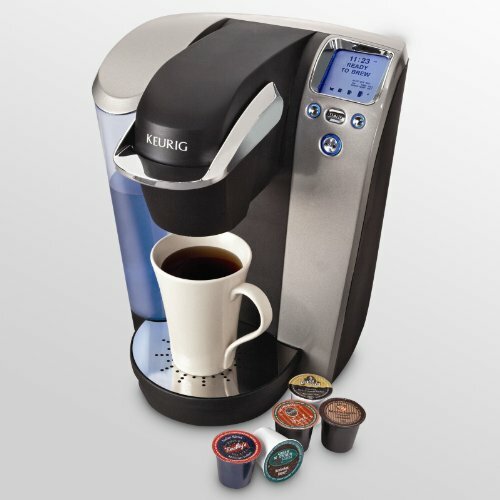 This premium model offers discerning coffee drinkers the widest range of five cup size options for brewing. 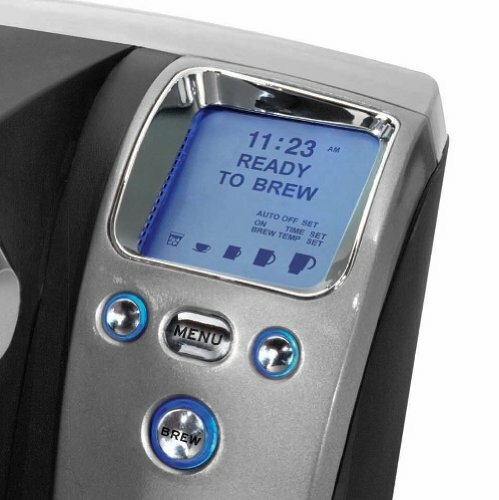 The Platinum offers the full spectrum of features including Auto On/Off, Digital Clock, Adjustable Temperature Control and the "Set Your Favorite Cup Size" option. The largest available 60 oz. removable water reservoir holds up to ten cups before refilling and the removable drip tray allows for easy cleaning and the use of travel mugs. 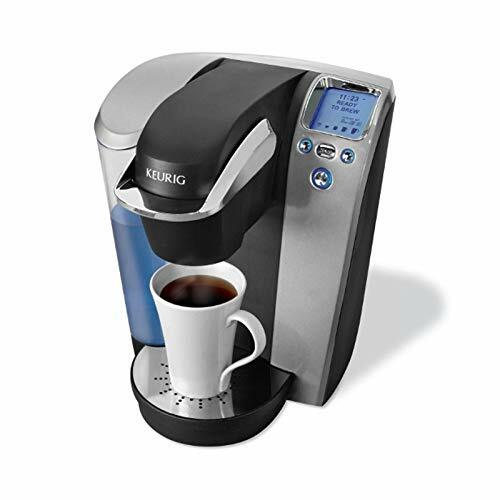 The sleek, award-winning design is a unique footprint among Keurig's line of home brewing systems and includes both a blue lit water reservoir and blue lit LCD display. At initial set up, once the machine is filled with water, it will take approximately 4-minutes for the water will be heated. During the heating period the red light next to ‘HEATING’ on the LED Control Center will become illuminated. Once the water is heated, the red light will turn off and the Small Mug Button will flash. Press the Small Mug Button to start a cleansing brew. Pour the hot water into the sink. The Brewer may take 15 seconds to reheat water between brews during which time the red light next to ‘HEATING’ on the LED Control Center may be illuminated. When the water has heated, the red light will turn off. The one-time set-up process is now complete and you are ready to brew!